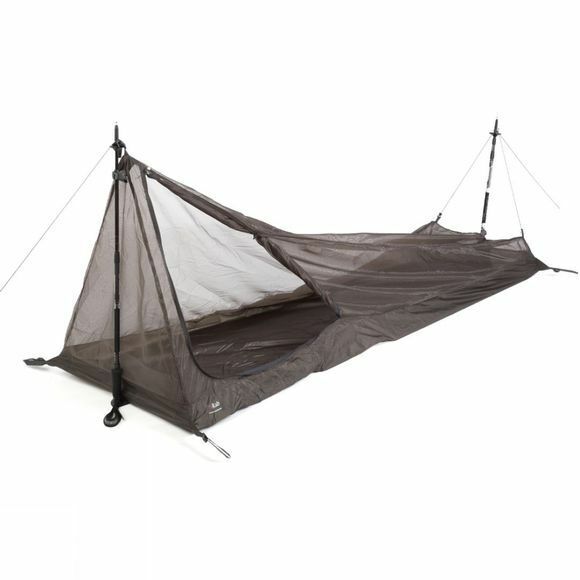 Lightweight bug protection which can be used alone or as an accessory to the Element Solo. 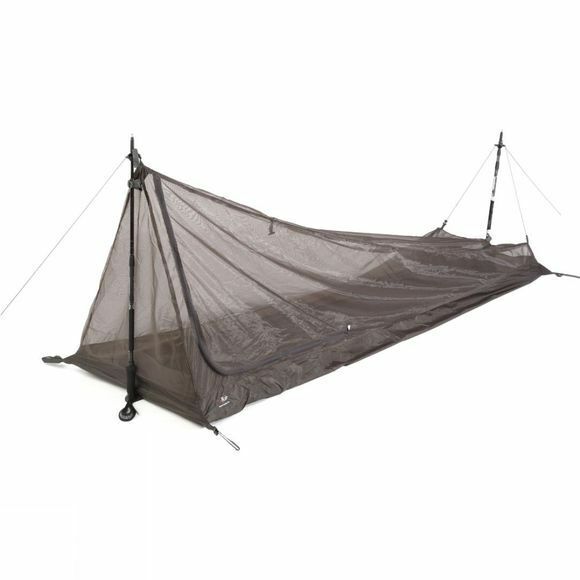 'No-see-um' mesh provides limitless breathability and bug protection. The water resistant 40D coated nylon floor features taped seams and a bathtub design for maximum protection. A minimalist design sets up using 2 trekking poles with 2 guyline points for stability and additional pitching configurations to create a year round shelter system.